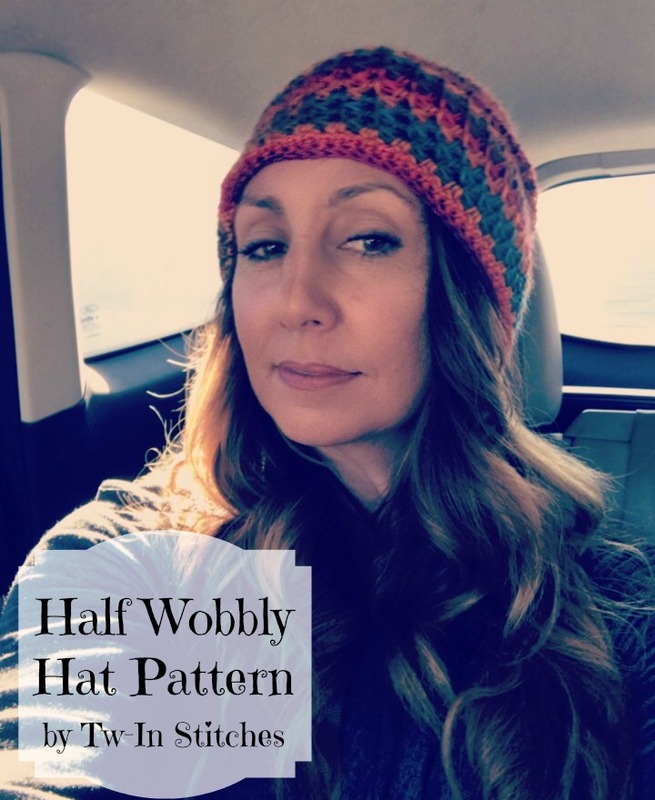 In December of 2015, I shared the Half Wobbly Hat pattern using super bulky yarn. Recently, I had the opportunity to make a hat for my sister using this pattern, but with a very different yarn. I thought I might share the pattern with you in case you would like to make a Half Wobbly Hat in a worsted weight or other yarn! At this point, stop and measure the diameter of your circle. An adult hat should measure 6.75 in (adult small) to 7.25 inches (adult large) across. You need to keep increasing until you reach that length. Depending on your tension, you may need to crochet additional rows to increase. *** If you need to keep increasing: Chain 2, *2 DC in the first stitch, 1 DC in each of the next 5 stitches, etc. Row 7 (Wobbly Row): Chain 1. HDC in the same stitch (counts as one half of a DC2TOG). Skip one stitch and DC in the next. Chain 1. Start a DC2TOG in the same space, skip one stitch and complete the DC2TOG in the next space. *Chain 1, start a DC2TOG in the same space, skip one stitch and complete the DC2TOG in the next chain stitch. * Repeat from * to star around until you finish the last DC2TOG. Chain 1, DC in the same stitch and slip stitch to the third chain to end the row. The number of stitches you have will depend on how many times you increased. 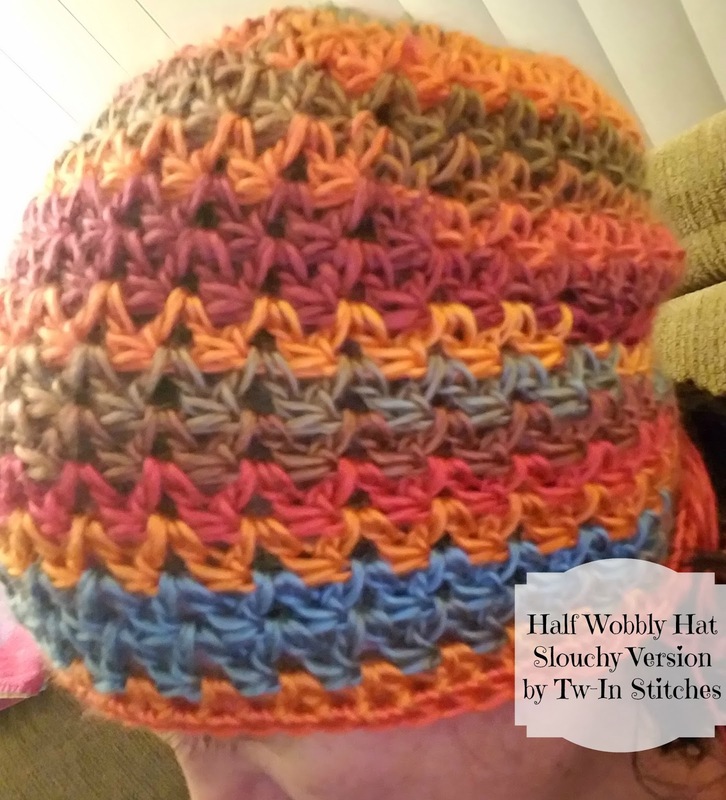 Row 8 (Wobbly Row): Slip stitch into the chain 1 space. HDC in the same space and DC into the next chain 1 space. *Chain 1 and begin a DC2TOG in the same space. Complete the DC2TOG in the next chain 1 space. * Repeat from * to * around. Following final chain 1, slip stitch into the top of the first DC to join. Row 9-12: Repeat Row 8. 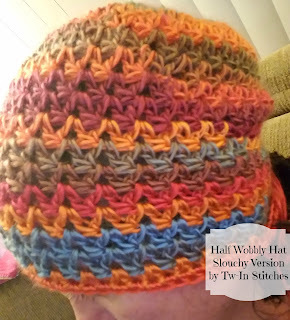 For a slouchy hat, you can repeat Row 8 for two or three more rows. Row 13: Slip stitch into the chain 1 space. Chain 1. Crochet 2 HDC in the same space. 2 HDC in each chain 1 space around. Slip stitch to the top of the first HDC to join. Row 14. Chain 1. 1 HDC in each stitch around. Slip stitch to the top of the first HDC to join. Repeat Row 14 if you would like more of a band. Fasten off and weave in ends. Viola!